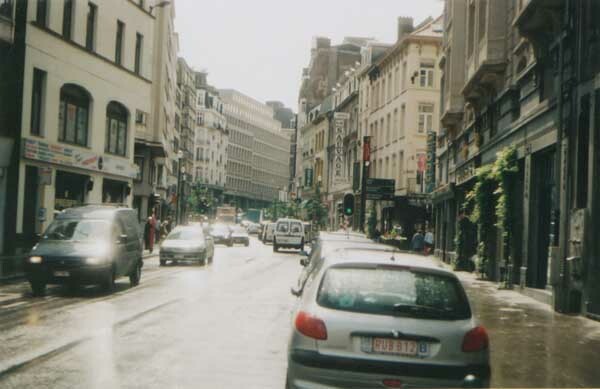 ETTING into Brussels was not much of a problem. I drove in from France and amongst the few things that signalled I had crossed the border was the change in typeface on the signs. But the weather also changed as I reached my first Belgian gas station to purchase a map of Brussels. The sunniness of Dieppe, where I had spent a delightful day, was a memory. Playing right into stereotypes of the flat country (blame Astérix chez les Belges), the drizzle began as I overtook a silver Toyota Avensis. Belgium had that impression of being a paradox: a country that had a next to non-existent international profile but spawned highly imaginative people, in particular, fashion designers. The fact that EU bureaucrats were based here did little to boost its reputation as a city to which Europeans must descend upon, but it was known amongst cognoscenti as one of the socializing hotspots of the Continent. Why this mixture? Belgian creationare arguably the best-known foreign pro­jec­tions of this nation, but the reality is differ­ent, as I would discover. There is a small 10 million pop­ulation which is mobile and cosmo­politan, attempting in enclaves to reverse the invisibility of the country through being outstanding in their professions. But there is no concerted, coordinated effort to tell people, This is Belgium, or if there is, then it had not taken hold at Lucire. I called Megan from the gas station. I still find cellular phones irrelevant, a leash for a man who enjoys freedom too much. But she had willingly maintained her New Zealand number as a lifeline to her office and buyers Down Under, even though she is fast adopting a Belgian outlook to fashion design. She is, after all, based here in Brussels for half (if not more) of the year, having found retailers and making it more her home. Of New Zealands designers, Megan Tuffery has become more international than her compatriots because she is truly immersed in a culture other than her own. And where better than to be immersed in a country known for cutting-edge fashion designwhile spending the remainder of the year in another known for its beauty? She answered my call, probably unimpressed by my lack of European geographic knowledge as I told her how I wound up in Brussels ahead of schedule. But it was the first time that I had been in the Benelux countries and Dieppe had been overrun by English tourists. The perfect hostess, she told me I would still be welcome. TOP OF PAGE: The rain stops in Brussels. TOP AND CENTRE: Entrance to the Palais de Justice, an exquisite and possibly the largest nineteenth-century construction in the world. 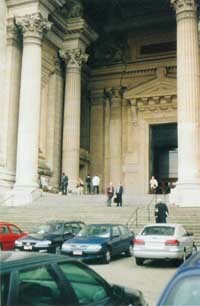 The Palais is 105 m high and houses the Supreme Court of Law for Belgium. 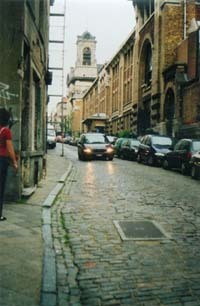 ABOVE: A street beside the Palais du Justice. Copyright ©2002 by JY&A Media, a division of Jack Yan & Associates. All rights reserved. Lucire is a member of the Totalwoman Network. Send feedback to Lucire. Acknowledgements to Nicky Casey of United Travel Kilbirnie.